NEW YORK TIMES BESTSELLER! Home is where good things happen--and for the Romney family, the heart of the home is the kitchen. In The Romney Family Table, Ann Romney, wife of former Massachusetts governor and presidential candidate Mitt Romney, reflects on her many years as a mom, shares family recipes, and describes some of her favorite and not-so-favorite moments of raising a family. Woven together with personal memories and traditions are Romney family favorite recipes such as Peppered Pork Chops with Peach-Vinegar Glaze, Welsh Skillet Cakes, Honey Wheat Bread (which Ann made regularly for five growing sons), and Mimi’s Buttermilk Pancakes, which she and Mitt shared with their Secret Service detail at the end of his presidential campaign. Ann Romney received a bachelor of arts degree in French from Brigham Young University and was awarded an honorary doctorate from Southern Utah University in 2014. As the first lady of Massachusetts, she worked to focus attention on the challenges facing at-risk youth and served as the Governor's Liaison to the White House Office of Faith-Based and Community Initiatives. Diagnosed with multiple sclerosis in 1998, she has volunteered much of her time to raise awareness of the disease and founded the Ann Romney Center for Neurological Diseases at Brigham and Women's Hospital. She places primary importance on being a wife, a mother of five sons, and a grandmother. I love this cookbook! Everything I have tried has been delicious! I have given it as a wedding gift and have given it to my adult children. I always get compliments when I take dishes made from these recipes to pot luck events and my family has loved the recipes I have made. I love the stories she shares and the glimpse we get in to the life of the Romney family. I highly recommend it! Very inspiring for younger moms. Loved this book. Any mom with small children at home can relate to some of the stories that are written with a good sense of humor and without any sugarcoating. Definitely will try some of the recipes. It's a beautiful hardcover book filled with gorgeous photography- both food photography and cute family photos of the Romneys. 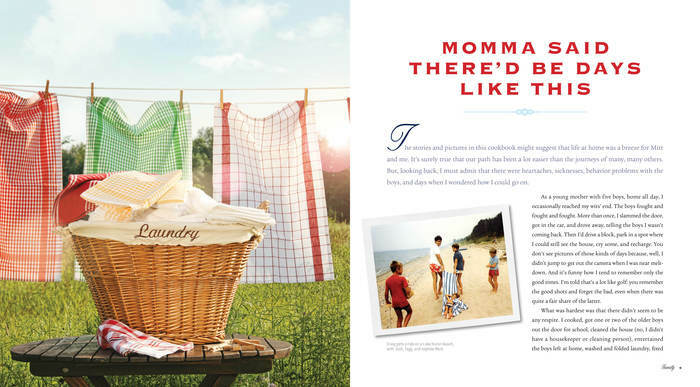 It's a cute idea because the book is full of recipes, mixed with stories about the Romney family's traditions. 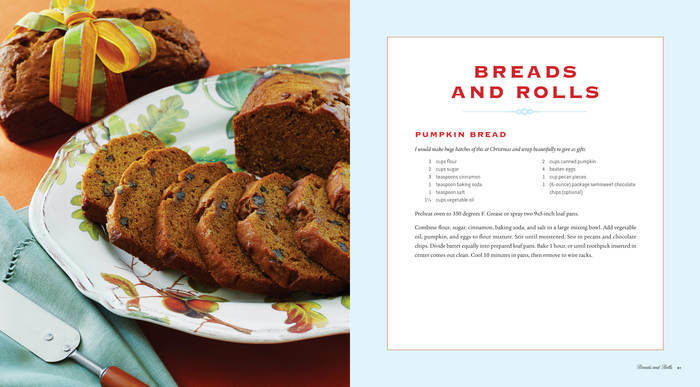 I just love that Ann shared the family traditions that related to the recipes in her cookbook. To me this set her cookbook apart from any other I've seen. In fact I'm inspired to create a similar version for my kids when they leave the nest, so they can not just take our family recipes, but remember the traditions we shared as well. I have 5 kids ages 6-17 and all of the recipes I've tried so far in Ann's cookbook have been easy and delicious. I'm not surprised though since I figured the recipes had to get a lot of thumbs up from her large family in order to make the cut. This is by far one of my favorite cookbooks. 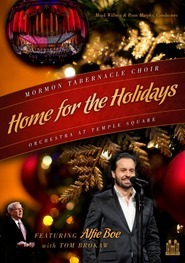 Note: All proceeds go to Brigham and Women's Hospital in Boston. Thank you, Ann! You're an inspiriation. The Romney Family Table is part cookbook and part glimpses into the lives and home of the Romney Family. Ann Romney explains why the kitchen isn't just a place to prepare food, but is the heart of the home; where you raise your family. 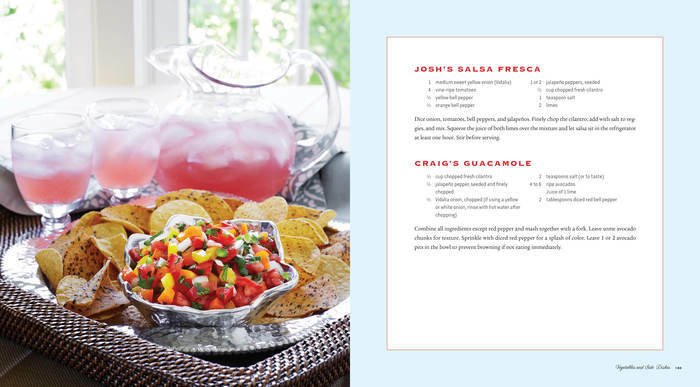 She shares memories and pictures of her family along with recipes. This cookbook has me wanting to spend more time cooking and it definitely has me wanting to try out these new recipes that have been traditions in their home! 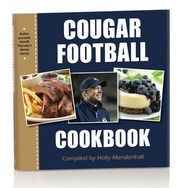 This is my kind of cookbook! First of all, the recipes are simple and don't require a lot of ingredients. Also, the ingredients are easy to find and I know what they are. I don't really enjoy cooking , so when I do cook, I like to be able to do it quickly and easily and have something yummy at the end! The other thing I like about this are the stories behind the recipes. The Romney's are down-to-earth and I could relate to a lot of her experiences and stories. I grew up in a large family (9 children) and reading some of their family traditions brought back fond memories. I love the traditions the Romney's have built and the food they enjoy while spending time together: holidays, vacations, birthdays and even just Saturday morning pancakes. One of my favorite stories that she told was about Fluff. Fluff is basically marshmallow creme (not sure how different it actually is, though). One day, she went to play tennis for a little while and left her 13-year-old and 11-year-old in charge. When she got home, her youngest son had gotten into the Fluff jar and was having fun. When his older brothers saw what he was doing, they smeared Fluff over the parts of his face he had missed. She included a picture of her with her Fluff-covered son. It was fun to get a glimpse into the Romney's lives and see how normal they are. Yes, they've experienced things I never will, but they're easy to relate to. This book is gorgeous with lots of pictures, both of food and of family. 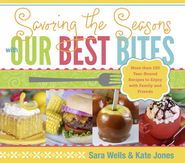 If you enjoy cooking yummy food that won't take all day, then this is a cookbook you will want to pick up! I love cookbooks but this is so much more. I throughly enjoyed reading about the Romney Family. Their traditions and how important family it to them. I have already made the Apricot Coffeecake for a work breakfast and that was a big hit. I have made the meatloaf and that smelled delicous while it was cooking. Thank you so very much. I hope to be able to meet Ann sometime, I admire her and her family so very much. Which fellow member of the Church doesn't adore our almost-First Family? Likewise, who could resist buying this book containing Romney Family favorite meals. All the recipes I tried were rich (pun) and flavorful. A delight for the entire family. One warning regarding the recipe for Red Velvet Cake. It calls for dumping a whole 1 oz. bottle of red food coloring into the batter. It's better to use just a few drops. Everything coming out of us...and I do mean everything...was red. Don't say I didn't warn you. Buy the book and, in the process, help finance the Romney's new mansions on the beach and at Deer Valley...and of course their mansions on high. 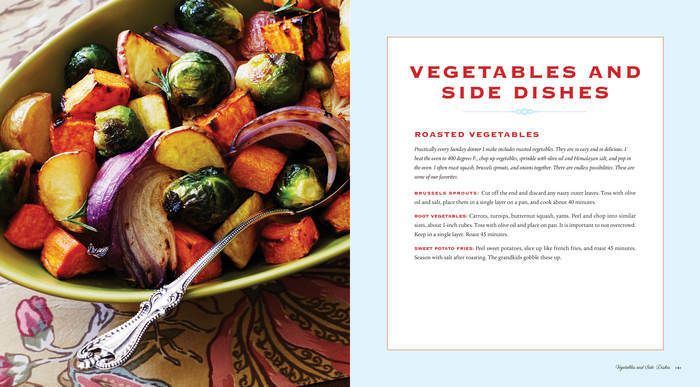 This book is more than just a cookbook! This book gives us insight into the Mitt and Ann Romney family and how they have gathered around the table on special days, Sundays, and holidays. Ann talks about her family including stories about being around the kitchen counter with her mom, how it was to raise five boys, and making it a priority to spend time as a family. My favorite story in this section is the day she had come home to find that her baby had had a heyday in the Fluff jar...there is a really fun picture of Fluff all over this child's face, hands, and clothes. She also talks about the traditions they have as a family such as keeping her Welsh heritage alive, birthday celebrations, and summer vacations. One of the stories you will read in this section is about the year Mitt's dad, George Romney, traveled to the home of each of his grandchildren on their birthday and cooked their favorite meal for them...and he was in his eighties...wow! And we get to read about their holiday traditions of Easter, Fourth of July, Thanksgiving, and Christmas. Ann shares with us her love of the Fourth of July, from the family picnic, to the fireworks, to the parade held in Wolfeboro with its lawn-chair brigade...fun story! And did you notice the picture on the front of the cover with the children eating the watermelon...this is just one of the activities the Romney family does in their summer "Romney Olympics" tradition. Filled with almost 100 pictures of the family...including parents, grandparents, children and grandchildren. 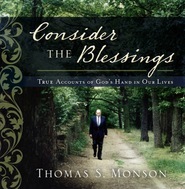 This book is truly a wonderful gift from the Romney family table to your family table. Get Those Mixing Bowls ready For the Romney Family! While I'm aware of the Romney family due to their run for the 2012 presidency, I didn't know much about their lives, traditions, favorite foods, and memories. I was expecting read quite a few political stories, but was pleasantly surprised that they are not the focus of the book. From reading the many anecdotal stories, I found that their family is very much the same as mine; believing that family is everything, there's a time to laugh and celebrate, and that food helps remind us of our heritage. I loved the good balance of recipes (entrees, desserts, breads, Salads, sides, etc...) that can be used when I have 30 minutes to make dinner or preparing for a celebration with a dish to wow my guests. I just read Ann's cookbook and now I have new inspiration. She makes stunning presentations sound easy, and the ingredients are things I keep in my kitchen. With the pictures and directions she makes me feel that I'm cooking with a friend. Thanks, Ann. I met Ann Romney last night at a book signing and what a wonderful experience that was! She is absolutely delightful...gracious, humble, and an inspiration to moms everywhere. I couldn’t wait to get home and read the first few chapters. Her cookbook is not just about food…it’s also a "cookbook" on rearing a busy family in a gospel centered home. My favorite chapter so far: “Mama Said There’d Be Days Like This.” This cookbook will not be tucked away in a kitchen cabinet with my other cookbooks. It will sit proudly next to my mixer as a daily reminder of what is really important. Thank you, Ann, for coming to Arizona. This is not only a great recipe book, but a wonderful inside look at the Romney family, Mitt, Ann their kids and grandchildren. The photos are great and the stories interesting! !